You'll remember that I removed and spray painted all the hardware from my cabinets a month or two ago. 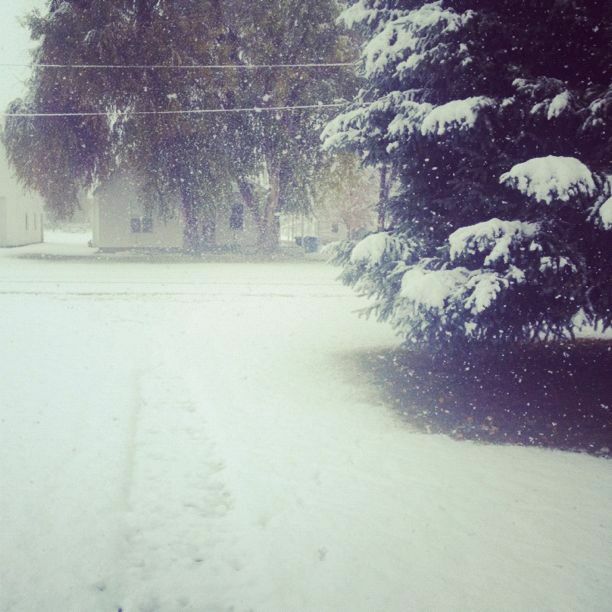 And it's a good thing I did because we've had a few days like this recently, and not many days in the 50s. I like their fun, curved shape. They definitely give my cabinets a retro-y feel, which I'm not totally certain is the look I was going for (mostly because I'm not totally certain of what I want in a kitchen), but I do like them, and that's good enough for me. 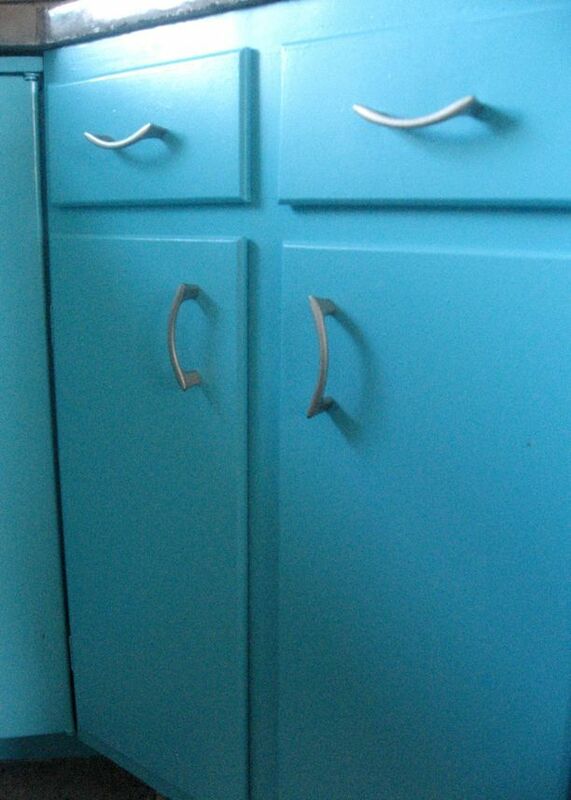 I'm sometimes even fooled into thinking that my painted wood cabinets are vintage metal ones instead. The only concern now is how the spray paint will hold up. 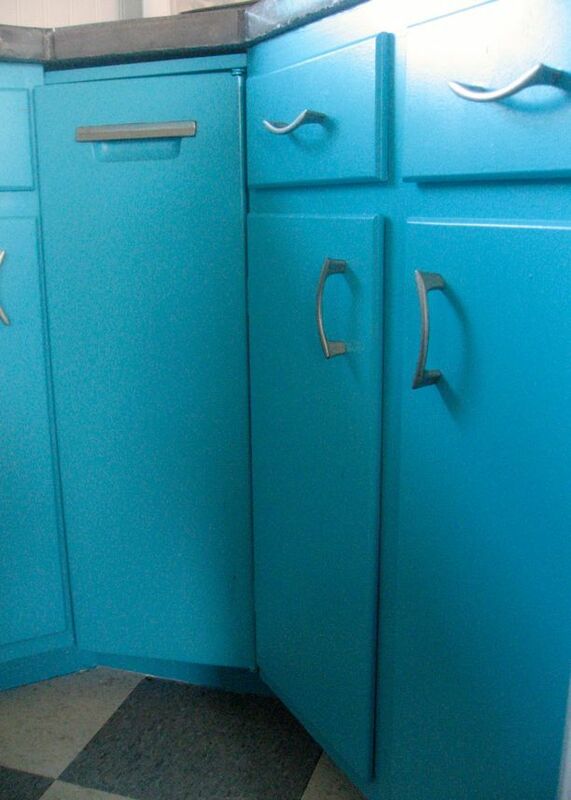 I did spray paint the hardware in my last kitchen, and they looked pretty good after 6 years. Anyone else have experience in this area?